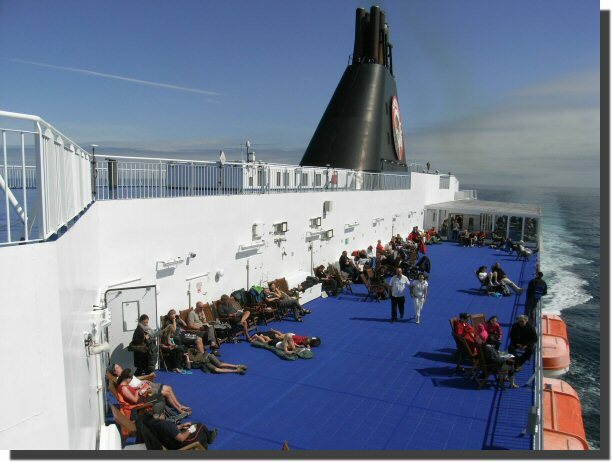 It takes two days and two nights to get from Hanstholm in Denmark to Seyðisfjörður in Iceland on board the Smyril Line ship the Norröna. The trip is a strange combination of cruise, car ferry and backpacker hostel. I don't think it is possible to book a vehicle on the Norröna without booking a cabin of sorts. However the prospect of sharing a cabin with three or more unknown snorers is not appealing to many. 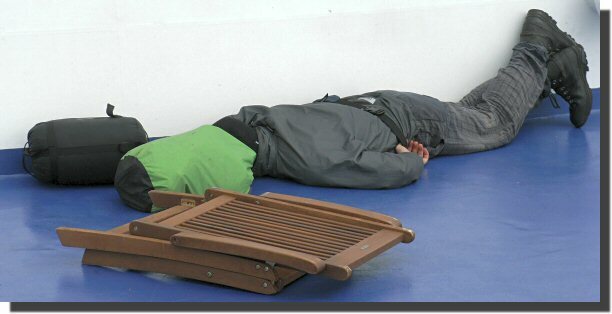 As a result people seem to end up in their sleeping bags in corners. Some people just found the excitement too much. 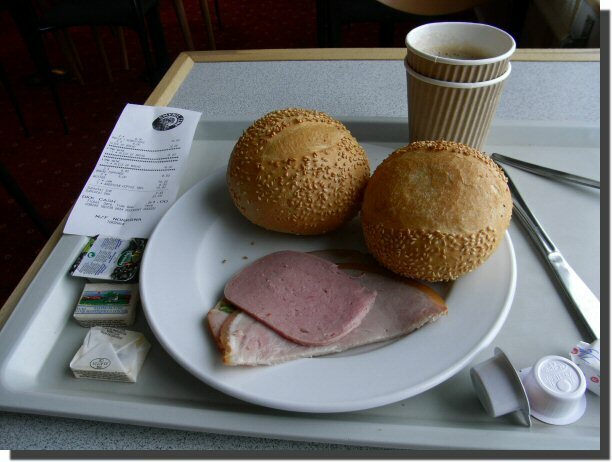 Because of the high cost of food on board (the breakfast above was nearly 8 Euros) some people bring their own food, even to the extent of cooking on Camping Gaz stoves on deck (not approved of!). 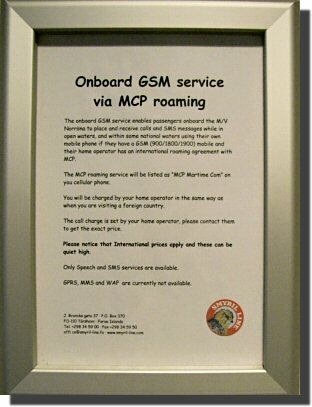 As you leave Denmark for the open sea you may be very impressed that you can still use your GSM phone. Before you make too much use of it you should read this notice, if you can find it. Onboard GSM service via MCP roaming. You will be charged by your home operator in the same way as when you are visiting a foreign country. Please notice that International prices apply and these can be quiet high. Home - This page last changed on 2009-07-18.